If you’re like most Canadians, you dislike the daily commute or the overbearing boss. Or if you’re like some Canadians who have been made redundant, laid off or forced to retire, then you’ve got more doors opening up – you have the enviable chance of becoming a business owner! Yes, there is life after the office. Bring out the best in you! Fill in the Find Your Perfect Franchise form on the right. You’ve heard people say that franchising is a path worth pursuing. After your initial research, you’re more confused and you begin to have doubts. FranNet comes to the rescue! With 23 years’ experience in the franchise playing field, FranNet Canada has become a powerhouse of knowledge and expertise. It’s not our intention to convince you that owning a Canadian franchise is the sole guarantee of success. We want every entrepreneur to develop that killer instinct and to gain market share in his line of business. Provide the due diligence enabling you to do it right the first time. You desire to provide more for yourself and loved ones, but you don’t have to be alone in your journey. 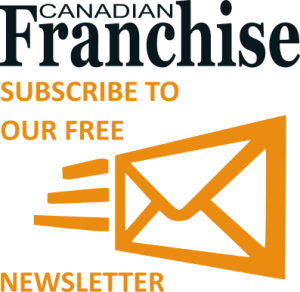 Our proven method has helped thousands of Canadians pursue their franchise dreams. Many of them started with one or two franchises, and some now have five or six. Expansion plans come naturally after your initial success. You need not start from scratch. FranNet’s proprietary profiling tools are designed to deliver measurable results. In fact, the results we have achieved read like a “who’s who” in Canadian business. If you’ve read Felicia Pizzonia’s book – Great Canadian Franchise Stories (2013) – you’ll realize why having a solid partner who can show you the ropes can be a true blessing. There’s a famous saying that says “success is never a straight line.” FranNet’s relationships with its diverse pool of talents in major Canadian cities can help keep that line straight by minimizing expensive errors.